Our Deluxe Rooms are well above standard. 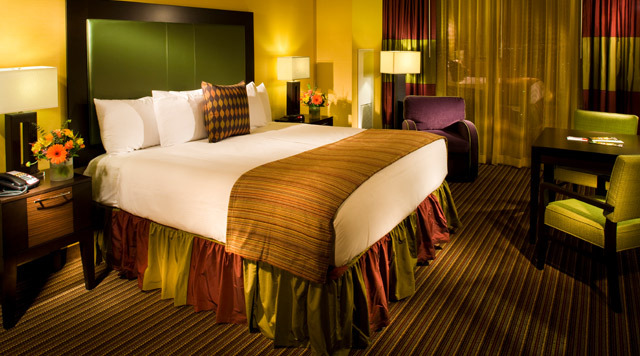 Available in either a King or Two Queen Beds, you can enjoy a plush pillowtop mattress and 400 thread count sheets. A 42-inch plasma TV, writing desk, easy chair, and convenient in-room refrigerator will make your stay easy. Book Online for the Lowest Rates Book your accommodations online and receive the best rates available!